The scheme below gives an overview of the methodology we used to select the projects. 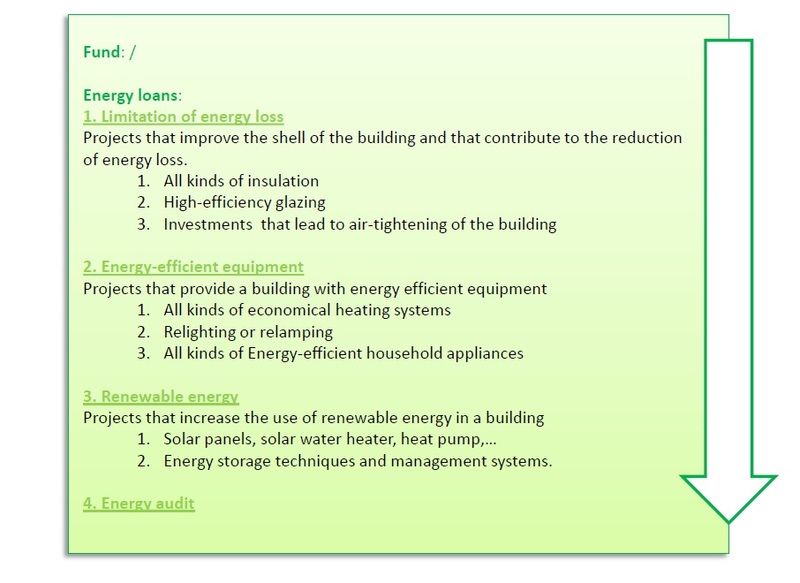 There are only selection criteria for the energy loans and not for the Fund as it is still in a design phase. As soon as the Fund is operative, the criteria will be created. As shown we give priority to the most green projects. We exclude the financing of fossil fuels with exception of the measures included in the legislation.